Are you ready to help celebrate our 75th Annual Show? And are you ready to help us celebrate all things Sheep! Click here for our 2019 Show Schedule. Click here for our 2019 Horse Schedule. Its now only a matter of weeks before Dalgety Show President Julie Hedger and her committee welcome one and all to the 75th Dalgety Show. We are also very excited about welcoming you all to visit our new Sheep and Poultry pavilions. After the wind event of 2017 that took down our sheep pavilion we are so pleased to be welcoming back our sheep exhibitors and their families after being unable to proceed with our events in 2018. We have lots of wonderful things in the pipeline for our visitors in 2019. Keep coming back to the page as we start to load up all our 2019 important information and schedules. The Dalgety Show Society Inc. is a devoted group of people who feel strongly about the future of rural Australia and understand the importance of local Shows. Every year the committee organises for the Dalgety Show, new and exciting events to keep the show fresh and appealing to not only the residents of the Snowy River Shire but visitors to the Snowy Mountains and the Monaro. 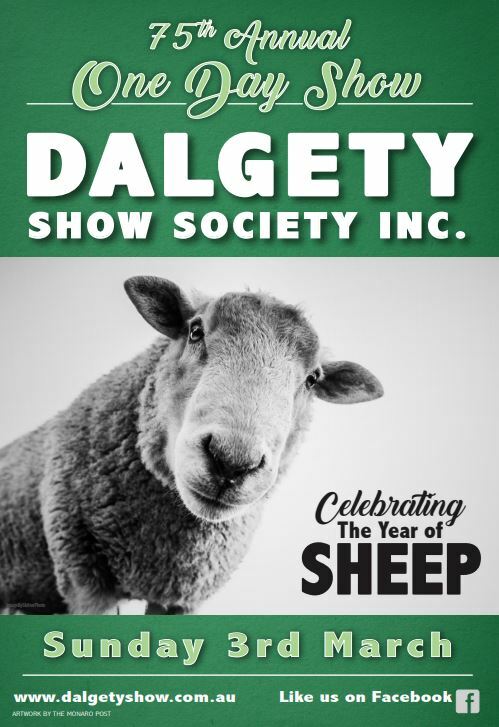 The Dalgety Show Society Inc. welcomes new members. Membership costs just $7.50 per person or $15 per family. Keep up to date with all the latest information by following us on Facebook!